"An understated yet critical component of an IoT platform is its edge capabilities. These capabilities ensure that a chosen architecture will meet enterprise requirements and will not require costly future redesigns...enterprises should closely evaluate how an IoT software platform handles devices and data at the edge"
IoT platform vendors promise a reduction in risk, time-to-market, cost, and complexity of deploying IoT solutions. However, not all IoT platforms have the necessary capabilities to fulfill such promises. An understated yet critical component of an IoT platform is its edge capabilities. Edge capabilities ensure that a chosen architecture will meet enterprise requirements and will not require costly future redesigns. Our research suggests that enterprises selecting a platform are frequently unaware of this requirement. This information is your guide to evaluating a platform’s edge capabilities and making the right decision. An enterprise’s choice of an IoT platform permeates every aspect of its business including strategy, operations and technology systems. Get this decision right and the business will benefit from increases in operational efficiency and ability to innovate. Get it wrong and the business will need to make costly technology changes to support its future IoT endeavors. Enterprises are building IoT solutions to improve productivity, reduce downtime and provide a higher level of service. But they face a number of challenges when deploying IoT solutions in their brownfield environments. In order to deploy IoT solutions that meet critical requirements, enterprises should closely evaluate how an IoT software platform handles devices and data at the edge. Enterprises in industrial sectors worldwide are looking for ways to improve productivity, reduce downtime and provide higher levels of service. Many of them are turning to IoT solutions as one way to evolve their critical business processes and institute productivity improvement while maintaining high levels of safety and security. According to MachNation forecasts, worldwide IoT application enablement revenue will be USD2.0 billion in 2017 growing to USD83.4 billion by 2025 at a compound annual growth rate of 59%. 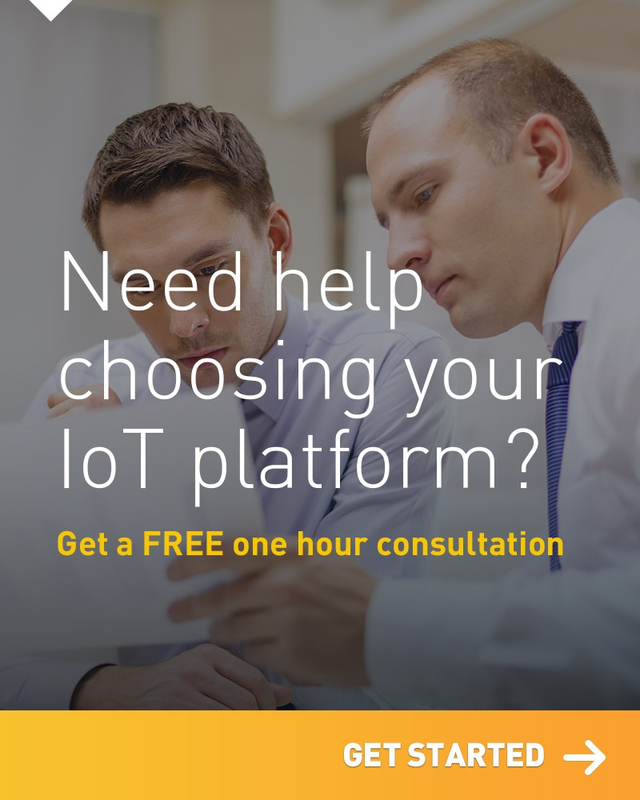 In order to implement an IoT solution, enterprises need to choose an appropriate IoT application enablement platform (AEP). MachNation defines an IoT AEP as a technology-centric offering optimized to deliver a best-of-breed, industry-agnostic, extensible middleware core for building a set of interconnected or independent IoT solutions for customers. Choosing a vendor that offers robust IoT edge computing capabilities will enable enterprises, especially those with brownfield deployments, to build a successful IoT solution that scales. IoT edge computing is a distributed technology and processing architecture that brings certain computational and analytics capabilities to the outer bounds of an IoT network. An IoT deployment using edge computing takes advantage of connected IoT devices or gateways that are capable of offering services and application functionality in areas such as device integration, data ingestion, data processing, analytics and device management. IoT edge computing enables process distribution at the optimal location, often near the point of data generation. Having a flexible, powerful, secure platform that supports edge-based computing is especially important for enterprises as they launch successive IoT solutions. Enterprises demand performance-oriented, manageable, reliable and efficient IoT solutions that integrate into the existing brownfield environment. In addition, working with a vendor that has these edge capabilities is important, because early-stage edge implementation design decisions are crucial. Wrong designs are difficult to overcome, as updates and restarts may require onsite support and in some cases hardware and systems replacement. Since the edge is critical to IoT success, leading IoT AEP vendors must provide edge capabilities that meet five key requirements. Edge Capabilities Improve Efficiency and Reliability on Rolling Stock by Processing Sensor Data. Enterprises make all their technology decisions based on a set of requirements, however, IoT deployments present several unique challenges for enterprises. First, enterprises are usually integrating IoT technology into their existing brownfield environments. Second, the data insights gleaned from IoT deployments are likely to alter critical business processes for enterprises. And third, IoT technology often requires operations technology teams and IT organizations to rethink business and technology outcomes. 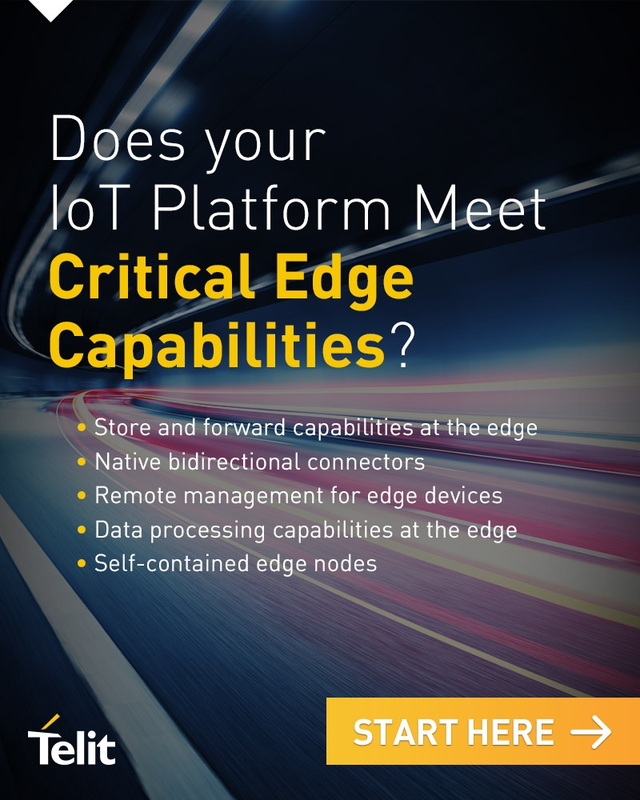 For these reasons, it is critical to understand enterprise IoT technology requirements and how they are addressed by edge-capable IoT application enablement platforms. Over the course of many decades, enterprises have optimized their technology systems, operational processes and equipment around performance and efficiency. In many cases, the enterprise has industrial equipment that is electromechanical and its operation is consistent and reliable within well defined performance requirements. With the introduction of IoT, enterprises gain new benefits from the ability to monitor, track, analyze and control systems in innovative, automated ways (see Case Studies for real-world examples of IoT in action). For example, in an end-to-end cold chain tracking solution, there is a mobile component that may experience connectivity interruption, such as when a refrigeration truck transports product. An intermittent drop in connectivity could mask a dangerous temperature change if there is no way to store information on the device – the connected truck – and send the data once the connection is restored. Additionally, enterprises require that IoT technology brought into a brownfield environment does not degrade existing systems, processes and equipment by increasing latency and affecting performance. The enterprise must be able to maintain stringent requirements around safety for personnel and equipment. An IoT solution must be able to maintain levels of low latency, ensuring that operations are not negatively impacted by IoT network and processing nodes. In order to track and maintain performance against a variety of metrics, leading IoT platforms must possess sophisticated capabilities for execution of business logic at the edge near the point of IoT data generation. If connectivity is interrupted, the edge device should be able to perform critical business logic as well as have the ability to store and forward data once connectivity resumes. Edge-based logic capabilities allow an enterprise to generate actionable insight quickly, thereby enhancing a high-performance environment. For example, processes dealing with real-time output optimization, equipment malfunction and worker safety are more effective and efficient when deployed at the edge. IoT platforms play an important role in facilitating this by using edge and stream analytics solutions to process machine data in real-time. Furthermore, automated enterprise processes are best supported by edge-based solutions so that intermittent connectivity, network congestion and other exogenous factors do not reduce productivity. MachNation research has found that most IoT enterprise solutions are deployed in brownfield environments which forces enterprises to address the challenges of adding IoT technology to legacy assets. The process of retrofitting can be complex and cost-prohibitive. Enterprises demand software and hardware IoT solutions that understand the complexity of real-world industrial environments. Heterogenous environments with legacy equipment must be supported by modern IoT solutions in order to make the digital transformation feasible and cost-effective. Existing industrial environments represent millions of dollars of investment: replacement of existing equipment with IoT-connected counterparts is not viable even for the most daring of enterprises. Leading IoT platforms must provide a rich bidirectional integration framework at the edge to integrate both modern and legacy enterprise equipment. To reduce the need for significant custom coding, a platform should go beyond the basic APIs or SDKs and offer a broad library of native connectors to legacy and modern devices. These connectors provide a rich integration framework that offers integration, data ingestion and protocol translation capabilities at the edge. In the industrial setting, leading platforms must support a variety of connectivity protocols including support for SCADA-based applications and protocols like Modbus, OPC UA and Profibus. Finally, once a device is integrated, edge-capable platforms allow the enterprise to perform protocol translation and send a curated payload to the cloud for visualization, analytics and long-term storage. Industrial enterprises are accustomed to performing regular management, monitoring and maintenance activities on their legacy, electromechanical equipment. However, the introduction of new IoT connected devices brings up a set of operational challenges previously reserved for information systems. Regular management, monitoring and maintenance of an IoT connected device requires a different set of skills than traditional mechanical repair skills. Enterprises recognize that connected equipment requires intermittent updates to adjust desired behavior, fix bugs and apply security updates. In order to ensure a successful deployment and operation of an IoT solution, enterprises need to be able to remotely monitor newly connected components and manage the newly installed equipment. Support teams need the technology to ensure smooth, secure, cost effective operation of the IoT solution even if an IoT deployment needs a fix or modification. Leading IoT platforms must come with tools to allow the comprehensive, cost effective management and monitoring of edge devices. IoT AEPs should provide a customer’s operations teams with mechanisms for edge device onboarding, configuration and sunsetting. This includes workflows for provisioning, maintenance and deprovisioning IoT devices. All of these tools should be available on a per-device basis and as a batch process. When an IoT deployment needs modification – and most deployments do at some point – an AEP without rich device management capabilities will require on-premises modification to devices by trained technicians and add project expenses. Vendors must also supply capabilities allowing edge device firmware upgrades to patch security exploits, deliver bug fixes and add new features. An IoT platform must provide all of these capabilities using over-the-air (OTA) mechanisms so operations teams can respond quickly and efficiently and enterprises can maintain high levels of safety and security. Remote Management for Edge Devices Eliminates On-Premise Modifications by Technicians. Data coming from sensors on industrial equipment can generate gigabytes and sometimes terabytes of data in a single day of operations. Enterprises realize that storing every data point is cost prohibitive, yet they want to ensure that they are able to extract maximum value from the data. While real-time machine data has clear value to the business, enterprises are sometimes faced with the challenge of processing large amounts of data in remote environments that are bandwidth constrained or where costs of data transfer are high. Leading IoT platforms provide robust data processing capabilities at the edge to allow IoT solutions to deliver maximum value in bandwidth and cost constrained environments. In order to deliver best performance while working within constraints, platforms with edge capabilities offer edge analytics that enable data to be processed near the source. This eliminates the need to pass raw machine data to the cloud – a process that is almost always impractical and frequently costly. By performing appropriate levels of data analysis at the edge, an IoT solution can offer insights while minimizing overall network utilization and data transfer costs. Edge-capable and connectivity-aware platforms ensure that systems perform optimally within constrained environments. Leading platforms enable a gateway to offer Quality of Service (QoS) optimized around operational requirements, thus performing critical tasks (e.g., downloading firmware upgrades) only when spare processing and network capacity is available. Platforms that are capable of running real-time analytics at the edge on a gateway improve efficiency and reduce the cost of operations by sending only what is necessary to the cloud. This is especially true when tens of thousands of devices are attached. Enterprises require high reliability of industrial systems by ensuring sufficient redundancy and resiliency of components, systems and systems of systems. In an enterprise setting, uptime is a highly-scrutinized metric. Higher uptime results in better utilization of resources allowing an enterprise to increase output without significant capital expenditures. Before selecting an IoT solution, enterprises must ensure that each component of the IoT solution meets enterprise-grade reliability requirements with redundancy and resiliency in case of failure. IoT introduces new technologies into the mix. Hardware like sensors and gateways and software in various areas of the network can potentially introduce new points of failure into the environment. Enterprises want to ensure that new IoT technology will maintain or improve the reliability of their overall systems. In addition, enterprises require thorough data protection and data delivery across the solution. Whether to maintain quality-of-services (QoS) or to meet legal and regulatory requirements, enterprises must be able to guarantee the confidential delivery of data from edge device to cloud or on-premises back-end applications. In the end, the value of an IoT solution is determined by the insights an enterprise can glean from reliable IoT data. Ensuring confidential and reliable data delivery increases the value of an IoT solution. Leading IoT platforms must provide self-contained edge nodes that are integrated with the cloud, but can operate as a decoupled entity when necessary. Edge capabilities provided by leading AEPs ensure that lack of connectivity to cloud and back office systems does not interfere with on-premises operations. The IoT technology enabling this powerful capability typically consists of a gateway that can run edge applications and services and provides a backhaul for getting data from the edge to the cloud. The gateway and its enabling software address challenges posed by intermittent or unreliable connectivity by caching machine and operational data in-memory, or on disk for short-term storage. Edge-capable AEPs are also capable of using a scheduler at the edge to perform tasks and collect data for reporting purposes. The IoT application enablement space continues to grow into one of the most critical technology sectors of IoT. And the most common adopters of IoT solutions today are enterprises deploying IoT solutions into their brownfield, oftentimes industrial environments. In order to ensure that an IoT solution has no negative impacts on legacy IT and operational systems, enterprises need to select a leading, edge-capable IoT AEP that provides store and forward capabilities at the edge; native bidirectional connectors; remote management for edge devices; data processing capabilities at the edge; and self-contained edge nodes.